--Ernest Hemingway on his one-time friend and tutor: "Gertrude Stein was never crazy/Gertrude Stein was very lazy." --Sinclair Lewis to Theodore Dreiser "I still say you are a liar and a thief." --Mary McCarthy on Lillian Hellman " . . . every word she writes is a lie, including 'and' and 'the. ' 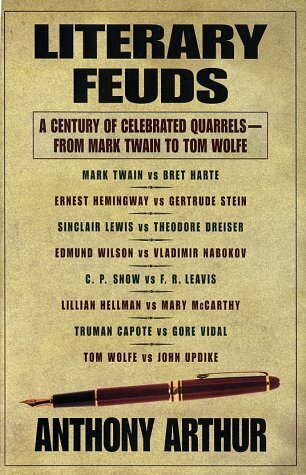 "
These great writers are a quarrelsome bunch indeed, and these true tales of bookish bickering are guaranteed to enlighten and entertain even the most discriminating literature lovers.